Doctor Vassileva is Associate Professor of Dermatology and Venereology at the Medical University in Sofia, Bulgaria. She is a graduate of Varna University School of Medicine, where she completed her dermatology training and a PhD thesis. 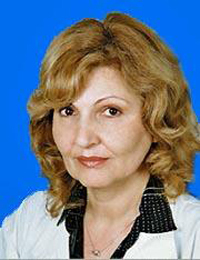 Doctor Vassileva specialized in immunodermatology as a fellow in Lyon, France and in Saint Louis Hospital in Paris, where she was “ex-attaché etranger des Hopitaux de Paris.” Currently, she is Director of the First Ward at the Alexandrovska University Hospital in Sofia and Chief of the Immunopathology Laboratory. In addition to her membership in the European Academy of Dermatology and Venereology, she holds membership in the European Society for Cutaneous Lupus Erythematosus, the International Academy of Cosmetic Dermatology, and the Central Eastern Europe Dermato-Venereology Association. Doctor Vassileva is on the editorial board of several additional journals. Her interests include autoimmune blistering diseases and cutaneous lupus erythematosus plus other collagen vascular disorders, adverse cutaneous reactions to drugs, and gender dermatology.